← Composition #7 (Extended Edition) by Qiet Treat your ears right. Listen to this album! 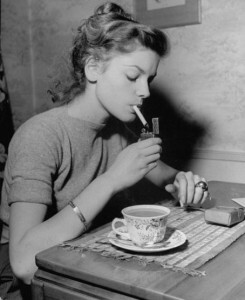 This entry was posted in New Musings and tagged black and white, cigarette, coffee, lauren bacall, old, pin up, pink-up girl, smoke, vintage, woman. Bookmark the permalink.